Though packed with oils, it’s easily absorbed, light + airy. Designed specifically for sensitive body areas but is a versatile, all-over body butter. This is the best for moisturizing dry hands & feet, but also great for arms & legs. Super for the winter months! 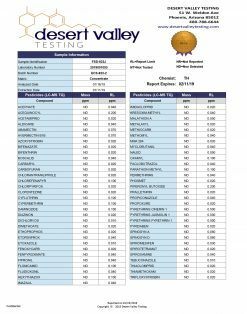 Want to treat your body to a CBD body care regimen? Try this CBD butter! 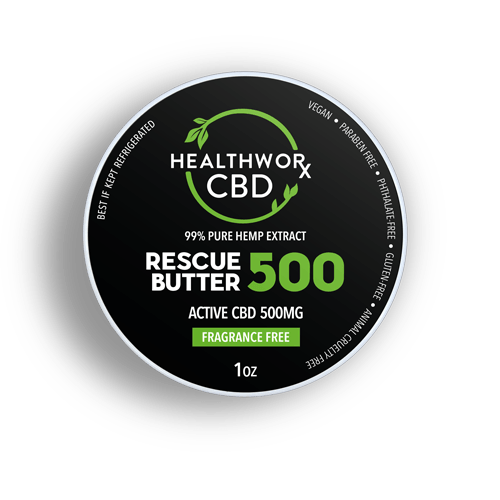 Using a CBD cream or CBD lotion is great, but this Rescue Butter packs a powerfully hydrating punch. 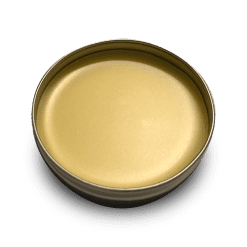 What is CBD Butter? 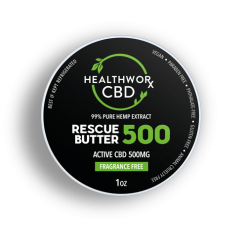 This 500 mg CBD Rescue Body Butter is an infused, whipped butter with a soothing, calming, and hydrating blend of mango butter, raspberry seed oil, cranberry seed oil, English poppy seed oil, and kokum butter. Yes, it’s as good as it sounds! You apply it to your skin — especially in areas where you suffer from dry, cracked, chapped, or needy skin, and see it work its wonders. One round of CBD butter and we’re sure you’ll never go back. 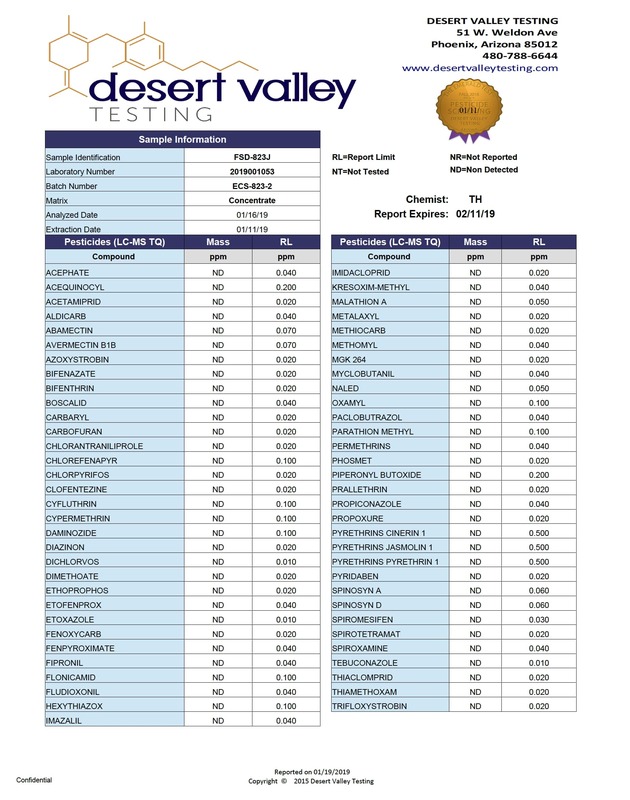 Feel the CBD difference for yourself and tell us in your own words what you think! Though the CBD Butter is packed with oils, it’s also easily absorbed with a light and airy feel to it. 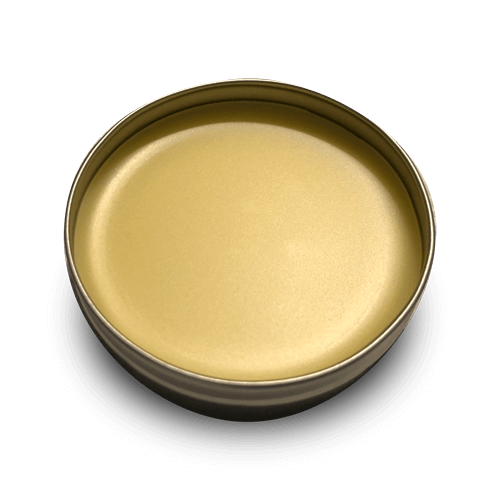 Designed specifically for sensitive body areas but is a versatile, all over body butter. This is the best for moisturizing dry hands and feet, but also great for dry arms and legs. 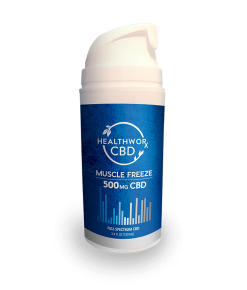 Super CBD choice for the winter months! 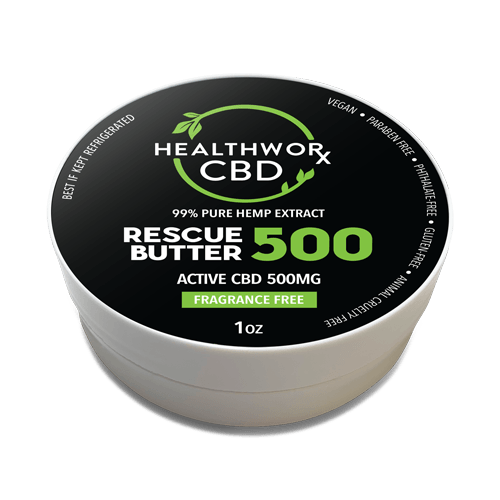 A CBD cream or CBD lotion is great, but this stuff really delivers a ‘rescue’ when you need it. Very nourishing and luscious to your thirsty skin. There’s so much to love about CBD body care products. Read on to learn more and get ready for a real treat for your precious skin. 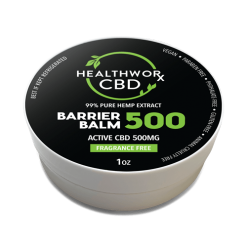 Wondering what you’ll find in CBD body care products like our CBD butter? There are a lot of natural, nourishing ingredients that make up our CBD butter. Dry skin doesn’t stand a chance. You’ll be glowy, dewy, and radiant in no time at all. How do you use CBD Rescue Butter? We’ll explain below! Massage the CBD butter into your skin. Repeat as desired. Don’t worry, you can’t overdo it! Use in the morning and/or the night. For body use only — this product is not intended for facial application. 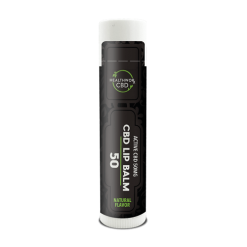 Check out our CBD lip balm for that! Don’t be shy about using it in sensitive spots, but please remember: external use only. Storing your CBD Rescue Butter in room temperature or even placing it in the refrigerator is what we recommend… as long as you don’t place it next to the actual butter! NOTE: We do not recommend that you spread our CBD butter on toast, though it is called butter. And definitely do not leave the CBD butter in direct sunlight or in a hot car. If you do, you might hear a faint voice coming out of the can saying, “I’m meeeeeelting…” And who wants that? Though CBD products are gentle and nourishing to the skin in most cases, you can never be too careful when it comes to your body’s largest organ. Before applying CBD butter or any other CBD product to your skin, apply it to a small area or spot only. Wait a few minutes and make sure that nothing happens and your skin has no reaction. As long as your skin seems to be reacting well to the new product, you can go ahead and apply it generally, liberally, and however you would like. Do Topical CBD Products Like CBD Lotions Really Do Anything? This is a question you’ll only ask before you try our CBD Rescue Butter. One “rescue” from this “butter” and you’ll never doubt its power again! It offers extreme moisture and rich and luscious nourishment. Your skin will thank you by appearing glowy, radiant, hydrated, and fresh. Still, many people have questions about topical use of CBD. If you’re not swallowing or ingesting the CBD, then how could it really have the power to have any sort of effect on your body? We’ll just call it science. 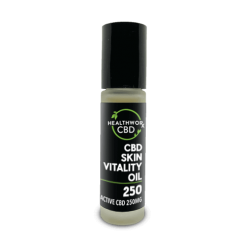 Introduce CBD to your skin and see its healing powers take place. Sure, a topical CBD is not being ingested, but its molecules are still soaking in through your skin. From there, the wonderful effects of CBD can serve to nourish, hydrate, heal, repair, and generally give your skin the tender loving care it needs to thrive. It can also help to purify, protect, and restore your skin’s natural radiance and elasticity. Many people love the effects that CBD has on their skin. Namely, pure CBD products like our CBD butter do not contain the cannabinoid THC. THC is the chemical responsible for producing the psycho active, or high, effect that most people associate with marijuana use. Without THC, marijuana products merely offer the wonderful benefits of marijuana but without the sometimes undesired side effect. Have you tried using CBD cream? Most patients feel unsure about using medical marijuana. 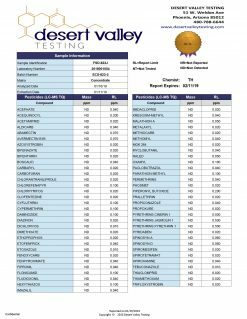 Cannabis is still associated with the ‘high’ you get from it. But CBD, unlike most forms of marijuana, has no psychoactive side effects and offers many health benefits. Studies have shown CBD can even help to reduce pain. Plus, it is safe to use every day. In addition, CBD helps reduce inflammation and may prevent pain in the long term. CBD is a safer alternative to harmful prescription medication and painkillers. Read more about the benefits of CBD body care products on our Health & Wellness blog.